Approximately one in ten Americans 65 and older have Alzheimer's. This disease causes a progressive deterioration of the memory and mental function and develops based on a variety of risk factors such as age, genetics, and the environment. Overall, one of the best ways for your loved one to experience healthy aging is awareness! 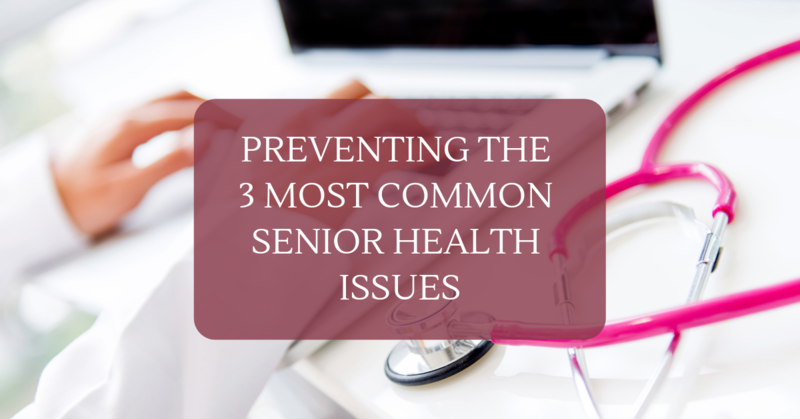 Knowing and understanding the most common senior health problems can help your senior in adopting behaviors that can effectively prevent them.